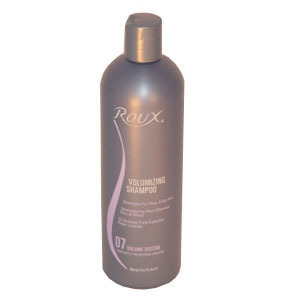 Roux® 07 Volume Shampoo is specifically formulated to give fine, limp hair a boost. Gentle cleansers powered by a unique complex of amino compounds leave hair soft and full of body. * When used together Volumizing Shampoo, Volumizing Conditioner, and Treatment & Shine increase volume by 24%.